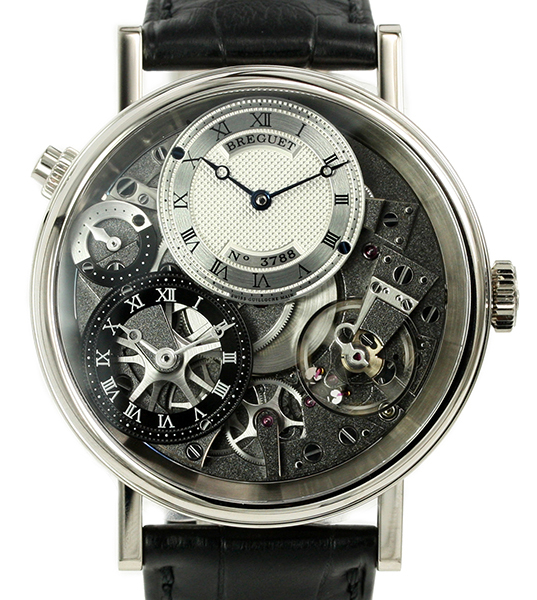 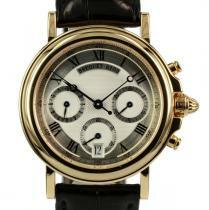 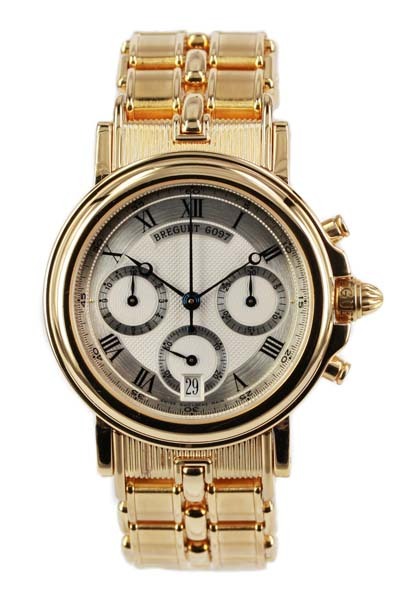 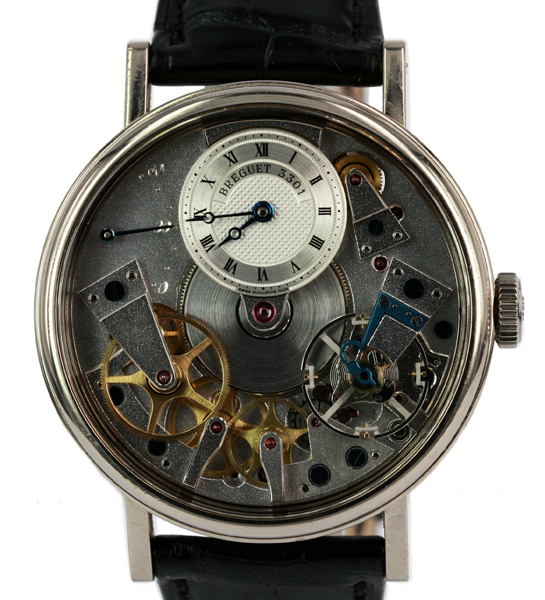 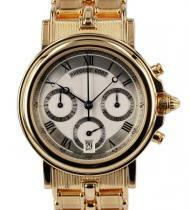 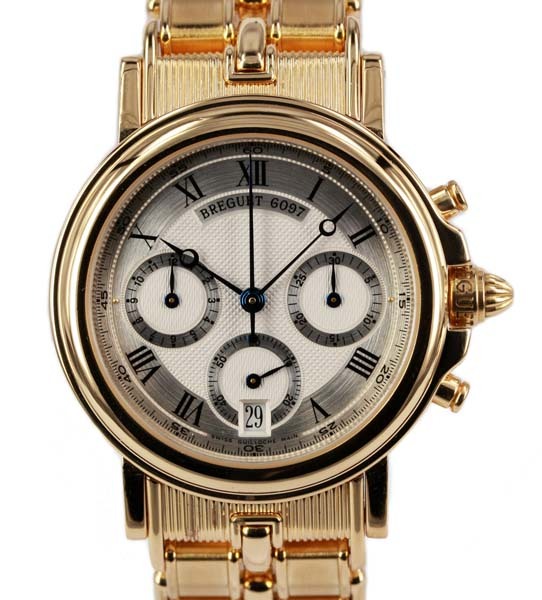 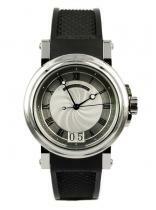 Watch Description: 18ct white gold case with skeletal dial, Roman numeral hour markers. 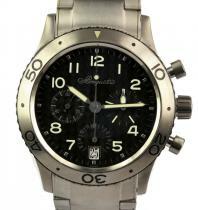 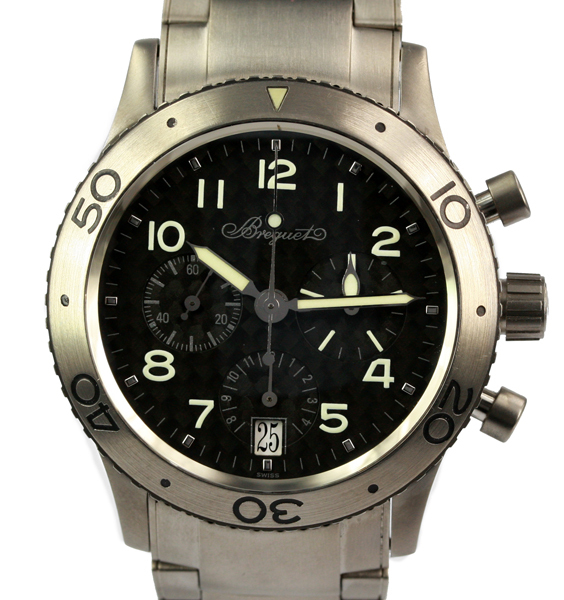 Two sub-dials: dual time and AM/PM. 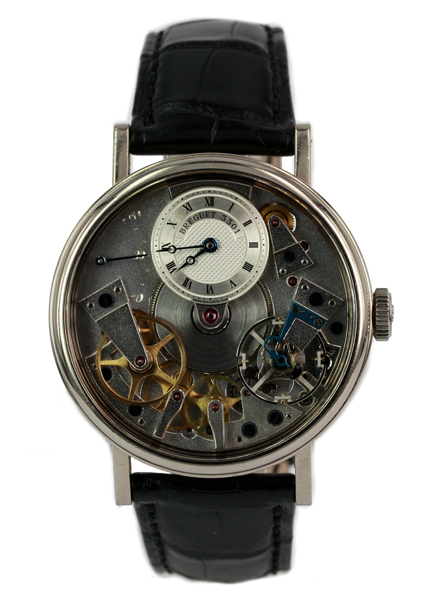 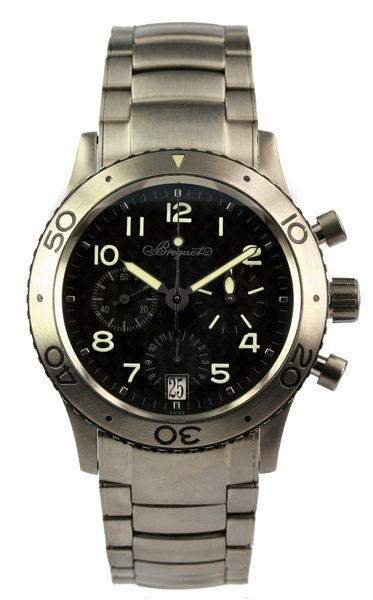 Manual wind movement with 50 hours power reserve. 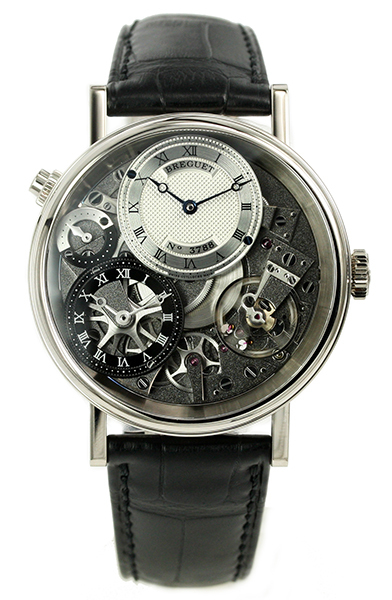 Sapphire crystal display back. 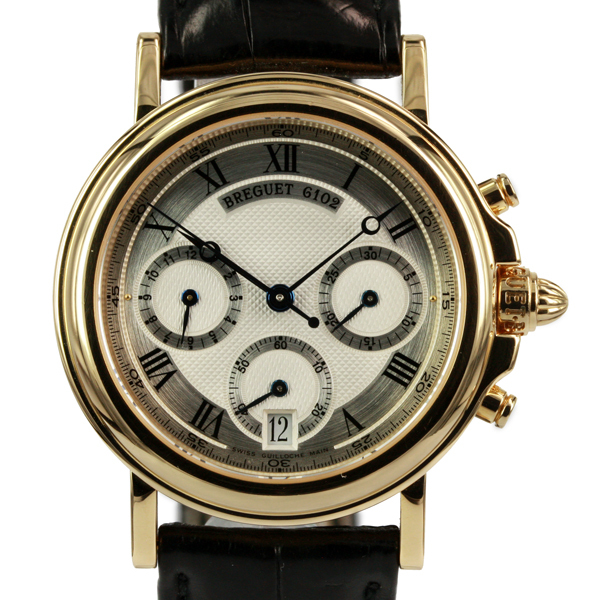 Black alligator strap and white gold deployant clasp. 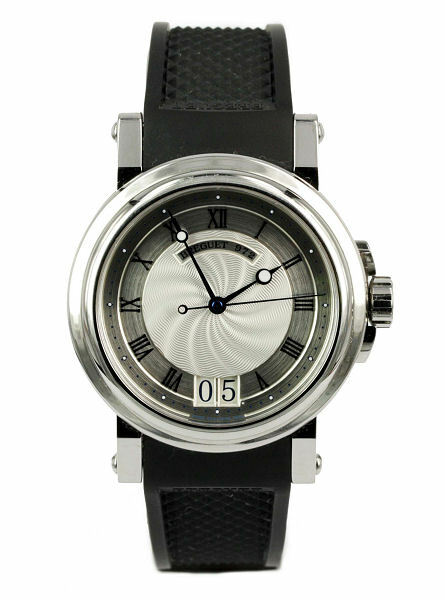 Watch Description: 18ct White Gold Case. 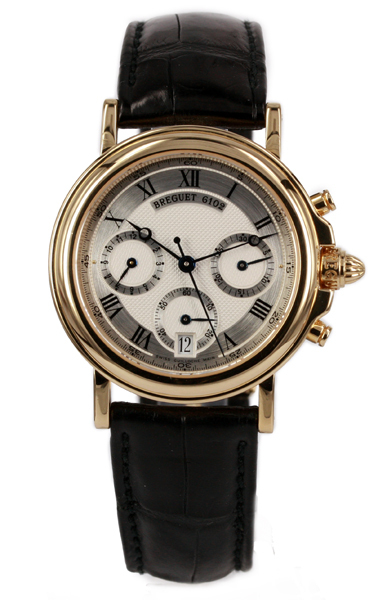 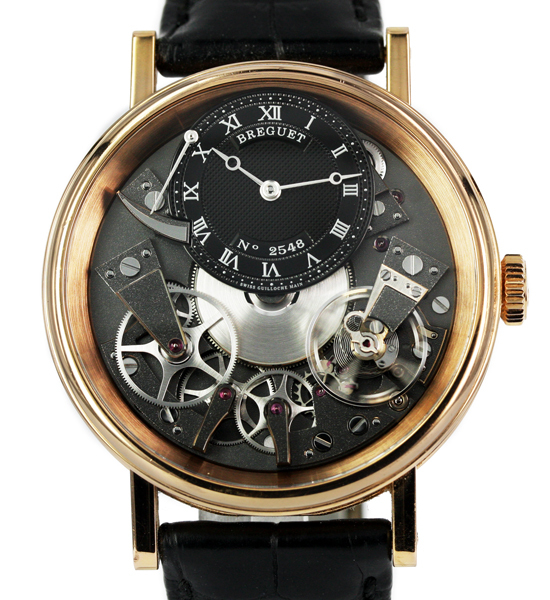 Breguet Black Alligator Strap with Breguet 18ct White Gold Deployant Clasp. 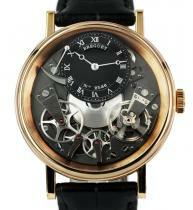 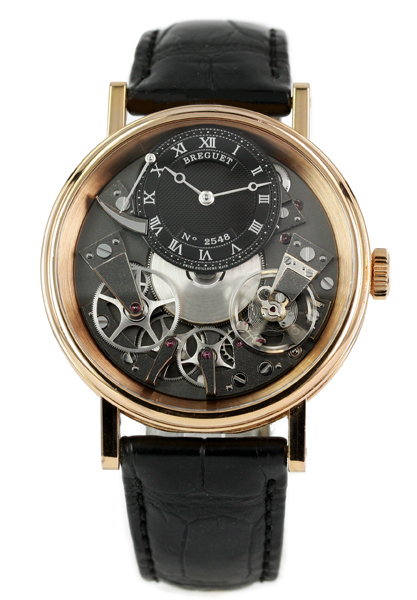 Open Dial and Caseback displaying the inner movement of the watch & displaying some the Breguet innovations .